West Vancouver is home to many wild animals, including raccoons, coyotes, skunks, cougars and bears. Learn what to do if you see dangerous wildlife and make your home less inviting to them by taking steps to reduce wildlife attractants. You can do your part to avoid attracting animals to your property and help make our neighbourhood a safe place to live for humans, pets and wildlife. Coyotes are very adaptable and are continuing to expand into a range of habitats—even urban centres. It is important that we know how to safely co-exist with them. There have been records of coyotes becoming interested in and/or pursuing children and pets. If you do encounter a coyote, pick up small children and pets and slowly back away while carrying them. 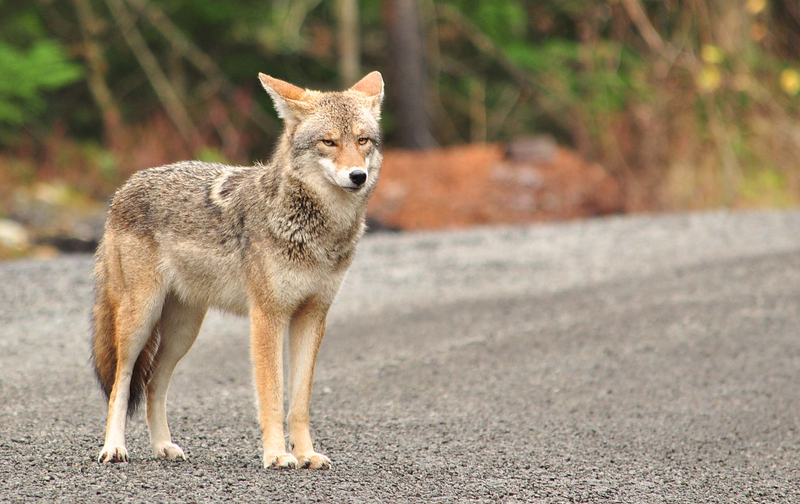 Call the Conservation Officer Service at 1-877-952-7277 to report coyotes that display aggression or lack fear of people or pets. For more information go to wildsafebc.com. If it's an emergency, call 9-1-1. Learn more about how to live safely with wildlife. If you find a deceased animal on your property, never throw it in the garbage. You can contact Until We Meet Again, which is a North Shore pet cremation service.